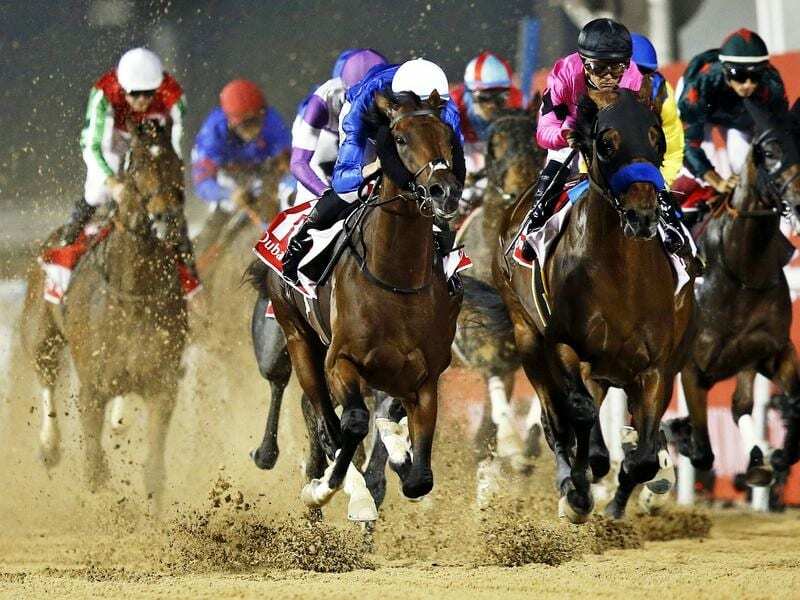 Thunder Snow (l) will have to overcome barrier 12 of 13 in his defence of the Dubai World Cup. The five-year-old gave Godolphin trainer Saeed bin Suroor a record eighth victory in the rich race 12 months ago before going on to finish third in the Breeders’ Cup Classic. The four-year-old is unbeaten in five starts including top-level triumphs in the Japanese 1000 Guineas, the Japanese Oaks and the Shuka Sho, before beating the males in November’s Japan Cup. Connections have already identified this year’s Prix de l’Arc de Triomphe at ParisLongchamp as her long-term objective, setting up a potentially mouth-watering clash with dual Arc winner Enable.